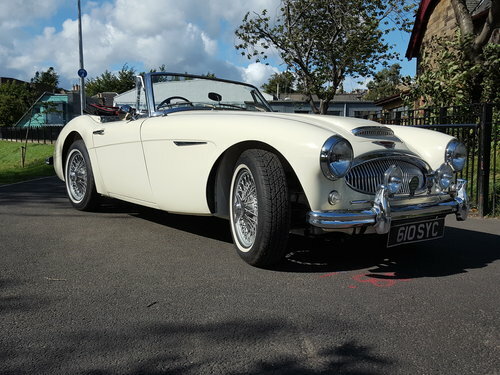 The Austin Healey is a British sports car built from 1952 to 1967 and is probably most admired for its "Big Healey" models. 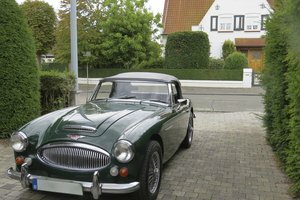 The 3-litre 3000 was a highly successful car, which won its class in many European rallies in its heyday and is still raced in classic car competitions by enthusiasts today. The 3000 Mark 2 BJ7 model was launched in October 1961 and remained in production until the end of 1963. The car we are presenting here, one of the last of that series, was professionally, frame up restored, and refinished from bare metal. 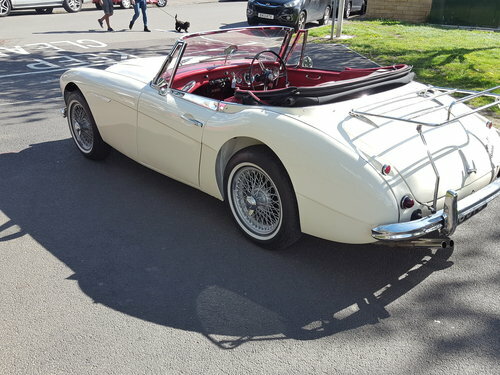 All absolutely true to period this car sports the original style steering wheel, Smiths instruments and enamelled not chromed wheels. The engine is rebuilt with hardened valve seats , new pistons, bearings and balanced shaft and flywheel. 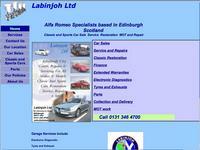 There are maintenance records available before and since the restoration. 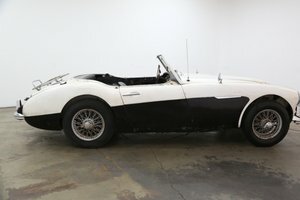 The one colour Old English white is uncommon for the BJ7 and provides a uniquely pleasant view of the of the Big Healey’s clean period clean lines. 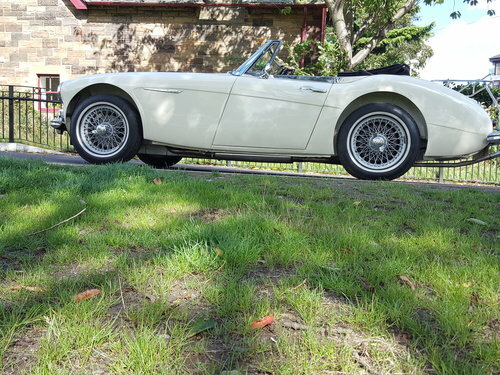 The car is equipped with overdrive, wire wheels, hood and tonneau in mohair with a hood cover. The engine bay is quality detailed and as it should the underside is completely finished in body colour. 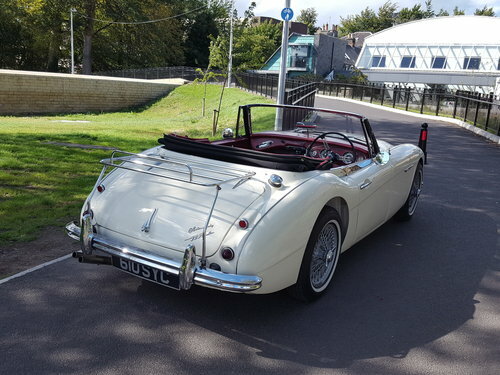 The Healey 3000 MK2's provide a great driving experience with its wind up windows, fresh air heater and folding convertible top. 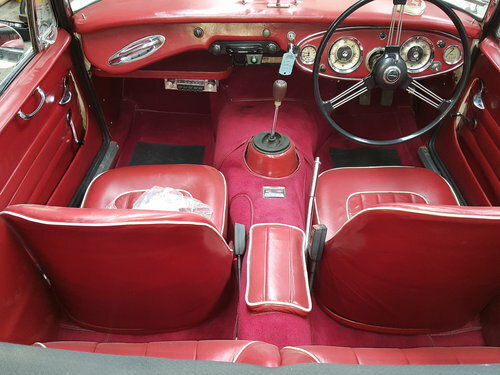 This Healey has a snug colour coded and fully lined hard top. 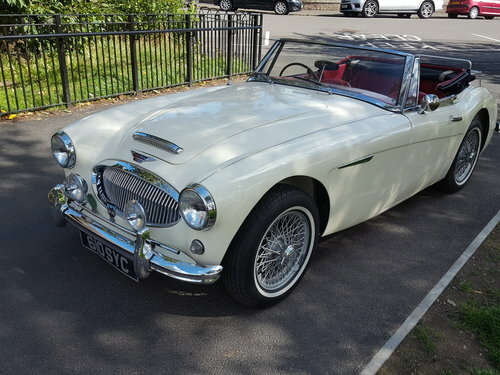 A beautifully restored car maintained by us for fastidious Healey aficionado Alastair Cuthbert, the owner for the last 18 years, this is a rare opportunity at £64,000.